PL Risk Advisors, Inc. will be attending and exhibiting at PIA Annual Convention March 8-9 in Connecticut. 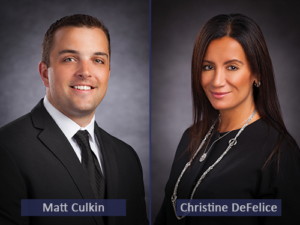 At booth 36, PL Risk will be represented by Christine DeFelice and Matthew Culkin. They will be there to discuss products such as Errors & Omissions and Cyber Liability Insurance. If you happen to be attending, we encourage you to stop by to find out how PL Risk can help you with your Hard-to-Place Clients. We offer wide market presence, nationwide placement, and the latest products available for E&O, D&O, and Cyber Liability Insurance. PL Risk Advisors Inc. (PL Risk) is the wholesale division of Axis Management Group Holdings Inc. Axis Management Group has been providing solutions in the professional and management liability since 1996. PL Risk formed in 2014 and offers professional and management liability insurance products on a wholesale basis. PL Risk is a significant resource for Management Liability and Cyber insurance serving retail insurance agents and brokers in almost every state.